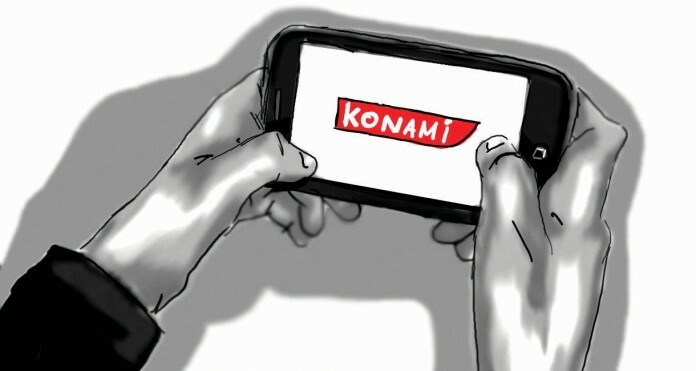 There was a time when it looked like the gaming company Konami was destined for success. They had a new Silent Hill game in the works, directed by Hideo Kojima (of Metal Gear Solid fame) and Guillermo del Toro in collaboration with Walking Dead actor Norman Reedus. However, according to Forbes, a falling out with Kojima has resulted in cancellation of the new game Silent Hills, despite Konami releasing a playable advertisement of the game. Now, the future of the Silent Hill and the Metal Gear Solid franchises remains uncertain. Konami has delisted itself from the New York Stock Exchange as of April 24, according to Polygon. U.S. regulatory compliance costs the company a minimum of $5 million each year, so the decision to de-list was a cost savings measure. However, Konami still remains listed in London and Tokyo, where 99.71 percent of trading of the company’s stock occurs. According to Konami’s new CEO Hideki Hayakawa, the company will now focus almost exclusively on mobile games, as opposed to platform games in which it previously specialized. According to Tech Crunch, as of 2015, mobile games that may or may not be free to play are set to eclipse the console industry in terms of revenue. By 2017, mobile gaming revenue should increase by approximately 30 percent, dominating PC games as well. It’s a strange prospect to consider, since platform and PC games have dominated the gaming industry for nearly as long as it has existed. Konami won’t be the first gaming company to focus on mobile games, even if its decision to focus exclusively on the mobile platform is a bit shocking. Square Enix, which is responsible for the Final Fantasy and Kingdom Hearts series, has also released a number of games made for iPhone and Android. Titles include polished versions of the company’s older games, such as the original Final Fantasy, as well as some new games made specifically for the mobile platform. According to Android Central, the rise of mobile gaming can be attributed to two factors: hardware that allows for high-intensity graphics and smooth gameplay that meets consumers’ expectations, and mass adoption of smartphones which opens up a much larger demographic. After all, why carry two devices when you can carry just one? But Smartphones aren’t infallible. They lack the same processing power, physical size, and battery life as consoles—but the success of mobile games doesn’t have to depend on the failure of consoles. Smartphones excel in simple puzzle games like Angry Birds and short, turn-based games like Draw Something. It’s not unreasonable to expect smartphones to push through their hardware limitations and produce something truly amazing. While the cancellation of the Silent Hill series is certainly horrific (har har), there may still be hope for Konami as a whole. Perhaps a renewed focus on mobile gaming will allow the company to heal and create wholly new experiences moving forward. The news that we won’t see new Silent Hill just broke my heart. I’ve watched people playing advertising part of the game few times and really enjoyed idea to play the game when it’ll be finished. I daresay that games on mobile platform won’t be as good as console games for an another 5-10 years. Nowadays mobile devices can cope with such games like Angry Birds and Minion Rush (also GTA series are pretty good adapted) but there’s way less joy playing shooters, horrors, etc. Anyways I wish Konami all good.